It all started with a chair. 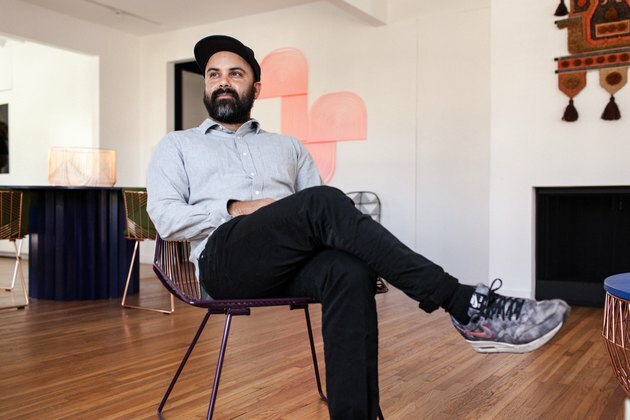 Not just any chair — for Gaurav Nanda, founder of the L.A.-based furniture design company Bend Goods, it was the Bertoia chair, a midcentury masterpiece still beloved today. For Nanda, who first saw it in his twenties, the revolutionary use of iron in a delicate, not-at-all bulky, way spoke deeply to him. "That kind of intricacy was very interesting to me," he said. He would watch YouTube videos of the chair coming together, fascinated by the welding and weaving of iron rods. "It was just very inspiring." You can clearly see the influence today, in the array of contemporary furniture, lighting, and accessories available from Bend Goods. The first thing Nanda designed was the Lucy Chair, for dining. The chair features upwards of 400 hand-done spot welds, which they call "bending"— hence the name. Like many Bend Goods pieces, the Lucy Chair is made of recyclable iron, pre-treated to prevent rust and powder-coated in an array of colors. The initial collection, from 2010, included four other products. Then Nanda expanded in playful, inventive ways — including animal heads. 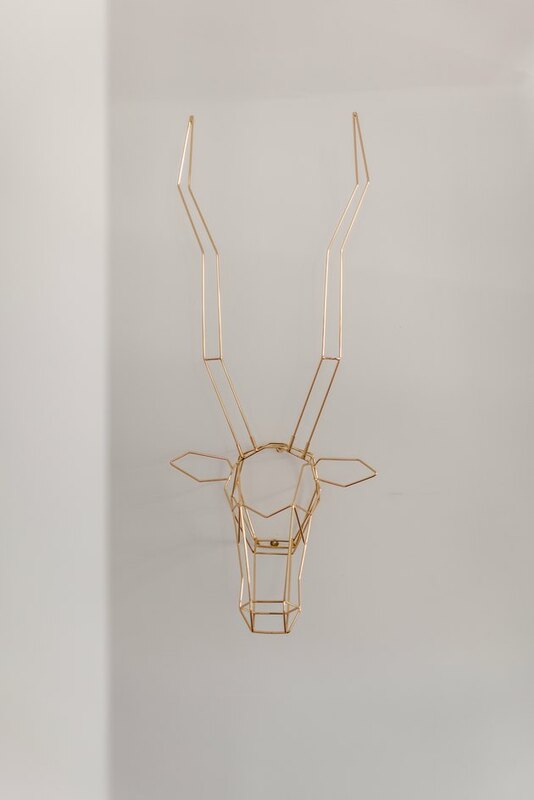 "I wanted to make eco-friendly taxidermy, in a way," he explains. 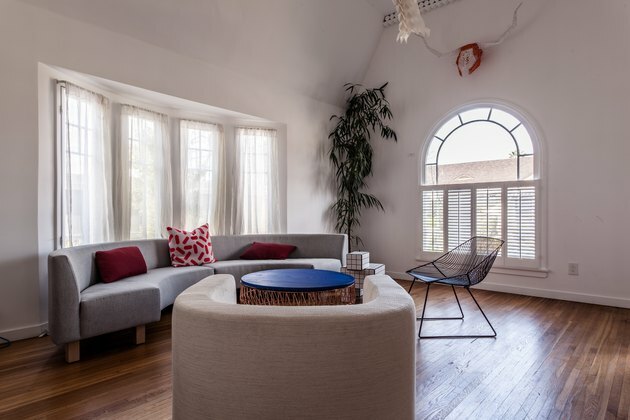 The wide range of pieces are displayed in Nanda's unconventional studio and showroom in the Hancock Park neighborhood of Los Angeles — a 1,000-square-foot, two-bedroom, two-bath, 1928 residential home with peaked gables. They've dubbed it "The Pointy House." "This house hadn't been touched for 30 years, so we knocked down some walls and opened it up," Nanda told The Los Angeles Times. The process took nine months. They painted rooms in bright monotone colors (the kitchen is pink), tore up carpet, added skylights, and raised the ceilings. "I never renovated a house before, but it was such a fun process," he says. It was an important departure from the corporate environs he experienced in his previous career, as an automotive sculptor for General Motors. "I come from the corporate environment, I've done that, and [just] like building up this company was kind of on my own terms, I didn't want to go back to a sterile type of office building," Nanda explains. 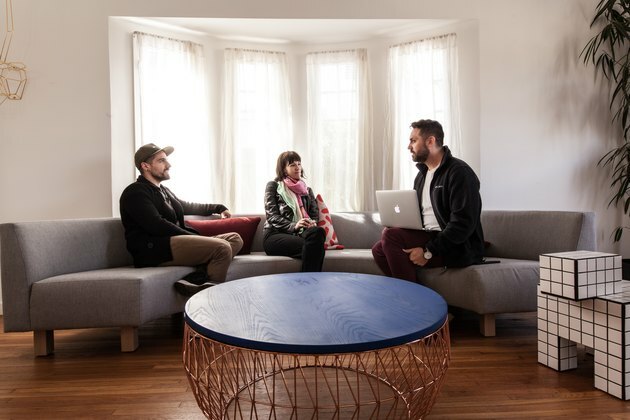 "I wanted to be able to work in the space that I feel comfortable in." The Pointy House was conceived to foster creative collaboration. "It will be a space where we can have meetings and invite designers and architects over to see the furniture in a natural useable setting," Nanda told DesignPublic. "For me the process of building this space has given the brand life and shown me what is truly possible with what we are creating," Nanda said to DesignPublic. "Being able to live in a space that is all Bend Goods with some midcentury modern pieces mixed in will inspire me every day and allow me to really think about where to go next and what we need to develop next."